What Is a Good American? The president of the United States apparently believes that some people are less worthy of becoming American than others, especially those who come from countries he deems dung holes, to use a euphemism for what credible sources tell us he said. But the president's formula doesn't say much about what it means to be American, any more than his mantra "Make America Great Again" does. The question of what constitutes American greatness, indeed what makes one an American, is something that I have thought a lot about over the years as one who proudly proclaims American exceptionalism and believes that you don't have to be born an American to become a great American. My old boss Ronald Reagan famously said: "You can go to France to live and not become a Frenchman. You can go to live in Germany or Turkey, and you won't become a German or a Turk." But, he said, "anybody from any corner of the world can come to America to live and become an American." Of course, it is not quite so simple. There is a proper process, and to be fully American in every sense of the word, that process entails more than filling out the paperwork. So, what does a newcomer need to do to become an American, beyond the formalities? What are the ideals that Americans aspire to, the habits of mind and behavior that shape the American character? First and foremost is the pledge of loyalty and fidelity to the country and its laws. These obligations are entailed in the citizenship oath: to abjure all loyalty to another country or its leaders; to protect and defend the Constitution and the laws of the United States against all enemies, foreign and domestic; to bear arms, engage in noncombatant service and perform work of national importance to protect and serve the country when required by law; and to do so freely and with no reservations. But there are other qualities beyond those obligations that define what it means to be an American. Many of these are enshrined in the Declaration of Independence. Americans believe that all men are created equal and endowed by their Creator with certain unalienable rights, including life, liberty and the pursuit of happiness. The Founding Fathers said these truths are self-evident, but the belief that they are was a radical idea at the time and remains one today if one judges by the history of man through the ages to the present. No previous nation conceived that all people are equal in their rights — and even our own did not live up to this ideal for nearly 200 years after these rights were delineated. Yet even this formula doesn't take into full account how one becomes American in a full cultural sense, which is often the most contentious part of the debate over Americanism. Because we are a self-governing people, Americans, more than citizens of nondemocratic nations, need characteristics consistent with the duties of self-governance. We need to be able to communicate with one another. We need to be self-reliant but also compassionate. We need to be tolerant of others who are different from us and to tolerate dissent from others whose opinions we do not share. And importantly, because we are a nation whose people are not defined by birth, blood or soil, we need to forge a common identity — one that the Founders understood when they adopted the motto "e pluribus unum," or "out of many, one." Unfortunately, some on the left and the right give lip service to such ideals but violate them in practice. On the left, multiculturalists balk at the idea of a common language in the public square — English — or a common culture, preferring that newcomers and their American-born children retain their native language and denying that there is even such a thing as American culture. On the right, some refuse to believe the clear evidence that Latino immigrants — and certainly their children — are learning English as quickly as previous groups did and don't accept that American culture incorporates elements beyond our original white, Protestant colonial history. Most Americans, thank goodness, fall into neither rigid left/right category. Those of us born here should be thankful of that blessing, but being a good American also means being open to those who weren't that fortunate. And President Trump would do well to heed that. Linda Chavez is the author of "An Unlikely Conservative: The Transformation of an Ex-Liberal." 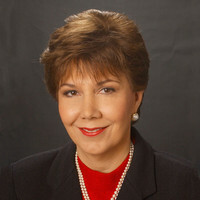 To find out more about Linda Chavez, visit the Creators Syndicate webpage at www.creators.com.